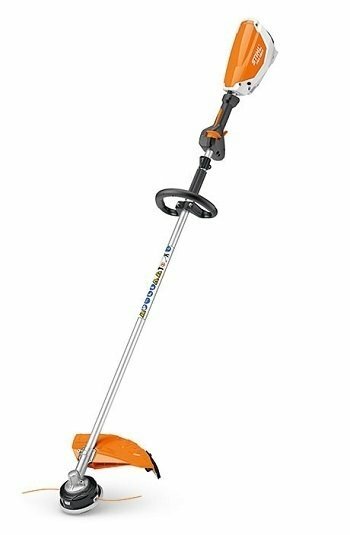 The HSA 86 Powerful professional cordless hedge trimmer with 62 cm - 25" blade length is lighter and even more powerful and efficient than its predecessor. 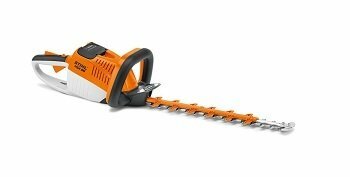 It ensures a constant stroke rate while pruning thick hedges. 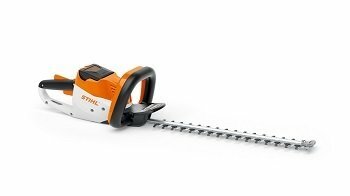 The STIHL EC motor also guarantees a longer running time than the previous model. 33mm tooth spacing and larger intervals on the cutting guard make light work of thick twigs. The cutter blade has double-edged teeth. Pleas#mce_temp_url#e Click here for more details. 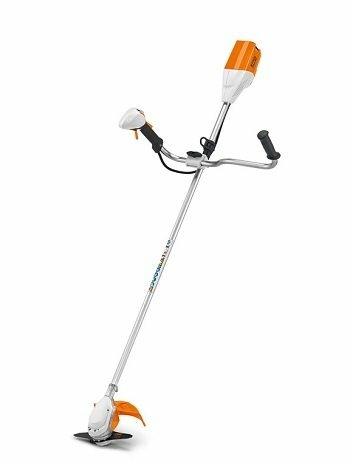 The FSA 85 cordless strimmer is light, quiet and powerful, making it perfect for use in noise-sensitive areas such as public gardens, parks and residential areas. 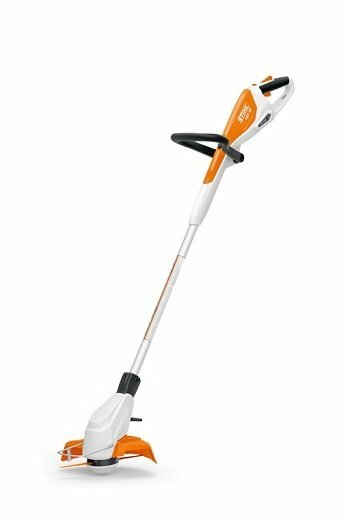 Fitted with an easy-to-use AutoCut C 4-2 nylon line mowing head,, thinning work, trimming lawn edges and mowing smaller areas is a breeze. 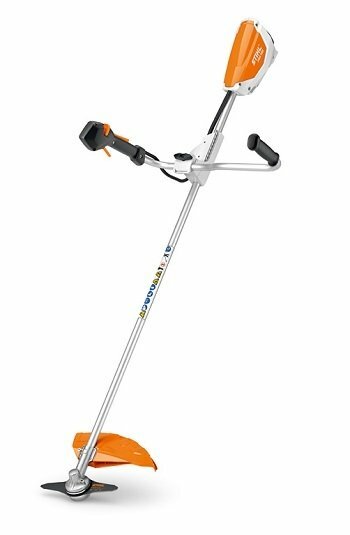 The practical spacer bracket that the FSA 85 cordless strimmer has allows you to easily trim around obstacles, trees and bushes with great ease without damaging them. 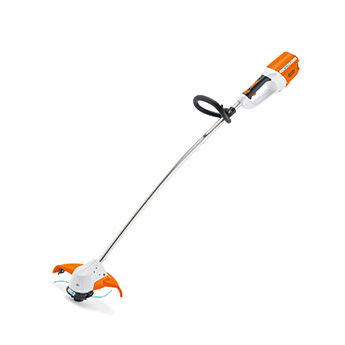 Once you’ve finished trimming the grass, you can save space by using the hanging loop to hang your cordless grass strimmer securely to a wall.The AP battery that is needed for the FSA 85 is compatible with all other STIHL PRO Cordless power tools, and there is a range of batteries to choose from depending on how long you need to use the tools for. 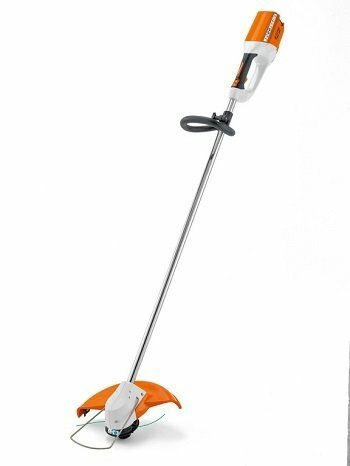 Many people appreciate the advantages of an electric lawn mower, but would like to remove the power cable. The battery-powered lawn mower fulfils this wish. 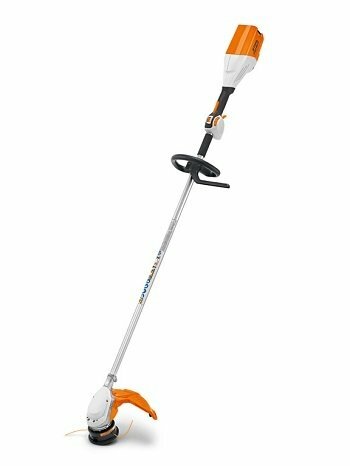 The high-performance lithium-ion battery provides power for up to 300 m² of neatly-mown lawn and can be charged up again from any mains socket. 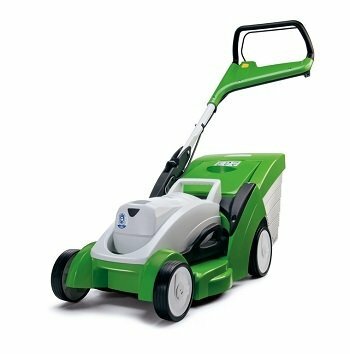 With the robust polymer housing, and the 6-setting cutting height, lawn care becomes an easy and comfortable affair.